Gross, J.H. 2015. “Testing What Matters (If You Must Test at All): A Context-Driven Approach to Substantive and Statistical Significance.” American Journal of Political Science. 59(3), 775–788. Gross, J.H. and J.M. Jansa. 2017. 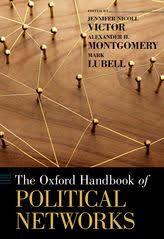 “Relational Concepts, Measurement, and Data Collection.” The Oxford Handbook of Political Networks. ed. J.N. Victor, A.H. Montgomery, and M. Lubell. Oxford University Press. Kirkland, J.H. and J.H. Gross. 2014. 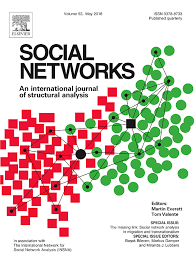 “Measurement and Theory in Legislative Networks: The Evolving Topology of Congressional Cooperation.” Social Networks. 36:97–109. Gross, J.H. and D. Manrique-Vallier. 2014. 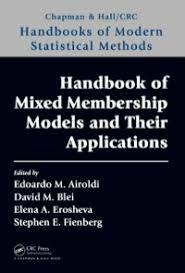 “A Mixed-Membership Approach to the Assessment of Political Ideology from Survey Responses.” In Handbook of Mixed Membership Models and Their Applications. Chapman and Hall/CRC Press. Sim, Y., B.D.L. Acree, J.H. Gross and N.A. Smith. 2013. “Measuring Ideological Proportions in Political Speeches.” In Proceedings of the Conference on Empirical Methods in Natural Language Processing (EMNLP 2013), Seattle, WA. Acree, B.D.L., J.H. Gross, A. Boydstun, Y. Sim, and N.A. Smith. 2018. 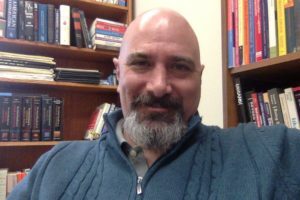 “Etch-a-Sketching: Testing the Post-Primary Moderation Hypothesis.” Published online, October 2018, in American Politics Research. Gross, J.H. and K.T. Johnson. 2016. “Twitter Taunts and Tirades: Negative Campaigning in the Age of Trump.” PS: Political Science & Politics. 49(4), 748-754. Card, D., J.H. Gross, A.E. Boydstun and N.A. Smith. 2016. “Analyzing Framing through the Casts of Characters in the News.” In Proceedings of the Conference on Empirical Methods in Natural Language Processing (EMNLP 2016), Austin, TX. 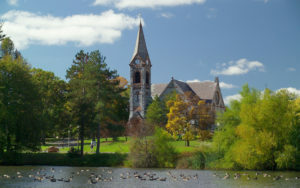 Card, D., A.E. Boydstun, J.H. Gross, P. Resnik, and N.A. Smith. 2015. “The Media Frames Corpus: Annotations of Frames Across Issues.” In Proceedings of the Annual Meeting of the Association for Computational Linguistics. (ACL 2015), Beijing, China. Gross, J.H. and J.H. Kirkland. “Rivals or Allies? 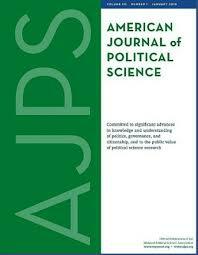 A Multilevel Analysis of Cosponsorship Within State Delegations in the U.S. Senate.” Forthcoming in Congress & the Presidency. Ringe, N., J.N. Victor and J.H. Gross. 2013. “Keeping Your Friends Close and Your Enemies Closer? 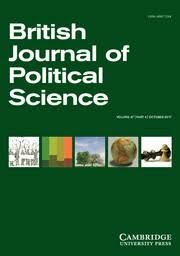 Information Networks in Legislative Politics.” British Journal of Political Science. 43 (03):601–628. Gross, J.H. and J.H. Kirkland. 2011. “Legislative Networks.” In The Encyclopedia of Social Networks, ed. G.A. Barnett. Sage Press. Gross, J.H. and I. Cuevas-Molina. Forthcoming, 2018. In “Latino Influence and the 2016 Pres- idential Election: Beyond All or Nothing.” The Latino Vote in the 2016 Election, ed. G. Sanchez, R. Ramirez, and L. Fraga. East Lansing Michigan: Michigan State University Press. Gross, J.H. and M. Barreto. 2015. “Latino Influence and the Electoral College: Assessing the Probability of Group Relevance.” In Latinos and the 2012 Election: The New Face of the American Voter, ed. G. Sanchez. East Lansing Michigan: Michigan State University Press. Barreto, M., G. Segura, L. Collingwood, J.H. Gross and F. Pedraza. 2014. 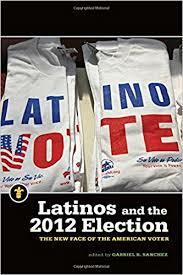 “A ‘Decisive Voting Bloc’ in 2012.” In Latino America: How America’s Most Dynamic Population is Poised to Transform the Politics of the Nation, ed. M. Barreto and G. Segura. Public Affairs Books.